Avalanche Home Systems offers the best in A/C repair, maintenance and installation. We service all air conditioning units including swamp coolers and evaporative coolers. From tune-ups to regular maintenance to repair and installation; Avalanche Home Systems does it all. We also install related accessories such as thermostats, humidifiers and electronic air cleaners. Call us today to see if our services are right for your problem. Our $99.00 A/C inspection comes with a 1 year guarantee, and there is no service fee if necessary work is completed. Check out this article from the Angie's List Heating and Cooling experts detailing why you should have your A/C inspected every year. 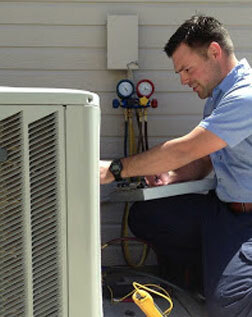 No matter the issue, our dedicated team will fix the problems you’re experiencing with your air conditioner. Experience a cool summer by having a well-maintained air conditioner courtesy of Avalanche Home Systems and Service, LLC in Castle Rock, CO. We repair and install different types of air conditioners. Also, our experts can service and put ductless mini-split systems in your home. We specialize in Goodman and Amana, but we are trained and fully equipped to service all brands. Monday- Friday 8 am-5pm. Saturday by appointment only. In winter we are open 24 hours a day. We are willing to help you with your HOA requirements as well as any other issue that may arise. Request a Free Estimate or Quote Today! We offer a 10-year parts and labor warranty for every air conditioner we install. Some of our furnaces and air conditioners have lifetime warranties. For inquiries, get in touch with us. We will get back to you as soon as possible. "I recently called Avalanche Home Systems to diagnose and repair an issue with our A/C. I had installed a new thermostat and the A/C stopped working. Andy, one of the co-owners, was extraordinarily helpful, checked our entire HVAC system and discovered the problem was not in my installation but rather the result of service done by the previous owner. Whoever serviced the unit previously reconnected two of the wires incorrectly. It's amazing the condenser unit worked at all! Andy corrected the issue, charged me a very reasonable fee and gave me some great advice for improving energy efficiency. I will definitely called Andy at Avalanche again and would absolutely recommend him to anyone." "Andy was great and came out to install our humidifier in our basement. I was able to get a next day appointment for a free estimate, and Andy stayed and did the install as well, even when needing to leave to get additional parts before the install. He was very timely, extremely friendly and courteous, and offered to wear shoe coverings while in our house. He took the time to thoroughly explain what he was installing and how everything worked. He also thoroughly explained his pricing and what we were paying for. Gave tips on how to get the most life out of our filters and how to re-order more, and when to expect results from our humidifier based on the amount of wood in our home. Excellent service! We will always use this company for any future HVAC needs. Five stars!" "Awesome experience with this company. Same day service to clean furnace. I would definitely recommend."